All around the world, people meet a challenge to find a balance between the risk of natural hazards and the need for spatial developments. Densely populated hillside regions in humid, subtropical or tropical climatic zones are often prone to various types of landslides. 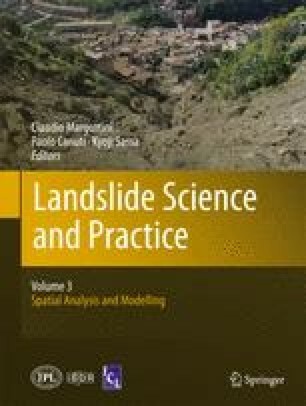 The complex flow behaviour of such gravitationally driven mass movements is reflected by inconsistent terminologies and ambiguous definitions of various landslide types in literature (Varnes 1978; Hutchinson 1988; Hungr et al. 2001). In this paper we focus on a discussion of on runout prediction methods of flow like mass movements, particularly on debris flows, where all transported material is generally in suspension and fluid and solid particles of all sizes typically travel with the same velocity. The term runout refers to the depositional part of a landslide or debris-flow event, providing information on the areas potentially covered by the transported solid material.